Cervical Spondylosis is a condition in which cervical vertebrae and invertebral discs in the neck degenerate. The condition is an almost inevitable part of aging and can cause extreme neck pain and lead to arm and hand problems. Unlike any form of Western medical treatment, Massage Therapy from Traditional Chinese Medicine is a non-invasive, successful method of relieving this pain and increasing the movement and daily comfort of sufferers. 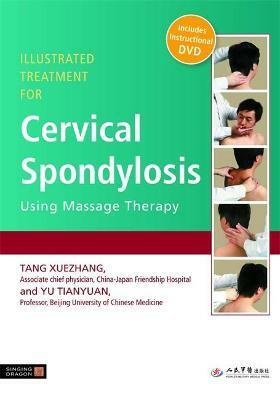 The authors explain the nature of Cervical Spondylosis and symptoms associated with the condition. They clearly outline every stage of the treatment process, providing anatomical diagrams and illustrations, as well as details on meridians, collaterals and acupoints. Easy-to-follow techniques and a step-by-step guide on how to perform massage therapy treatments are accompanied by clear instructions and live demonstrations on the accompanying DVD. Written for practitioners, the book also includes clear advice for advising the patient on how they might continue treatments at home, and precautions that should be taken to prevent this painful condition recurring and worsening. The book will be an invaluable basic resource for practitioners of Chinese medicine and massage therapy, as well as all other massage and bodywork professionals.